A Standard Website comes with the WordPress Installation. The main thing to remember when selecting a theme for your website is to look at the theme’s structure. We can change the theme’s header images and background colors easily. And most themes allow for minor changes. Look at the following list, and keep these items in mind when you are selecting a theme for your website. The over all structure of where things are positioned on the webpage. To browse or search from over a thousand free themes, visit WordPress’s Free Themes Directory. 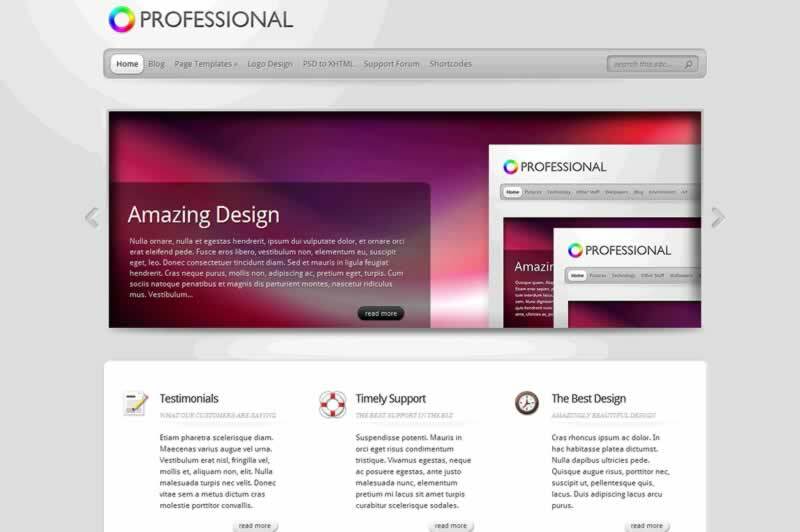 Premium Themes can be selected give your website a more Professional look. Premium Themes are an Enhancement to the standard them setup. See Website Enhancements for current availability. Here is a link to Live Demos of the Premium Themes you can choose from. Elegant Themes– There are live demos available for all themes. The theme named “Divi” is Elegant Themes latest theme that is highly flexible and mobile responsive.